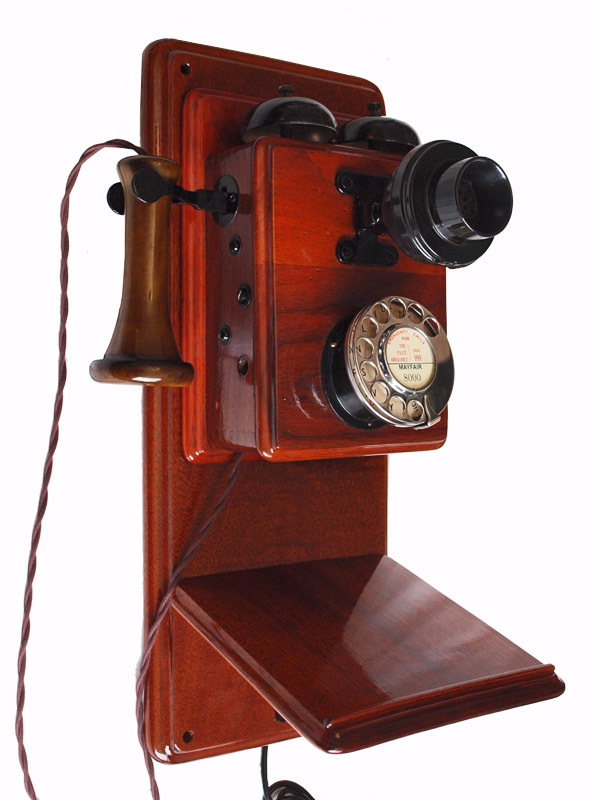 This is a wonderful GPO 121 on wall board. The wood has been stripped and varnished to bring out the beautiful grain in the mahogany. 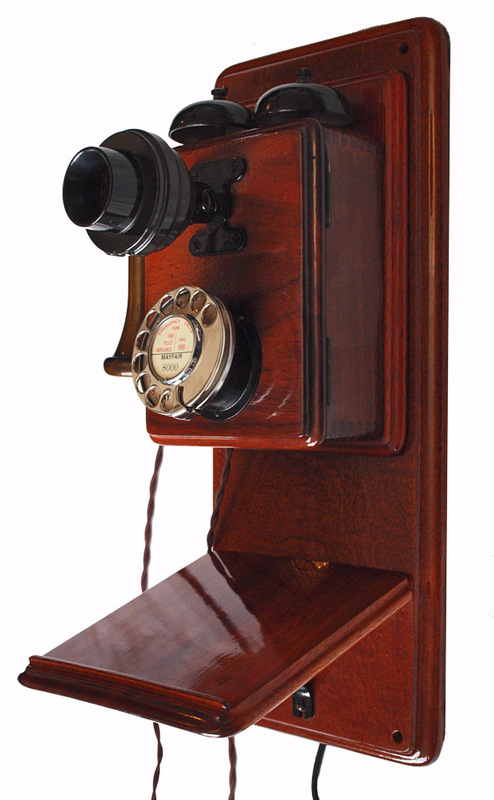 This is a genuine GPO 121 with a quality made reproduction wall board. 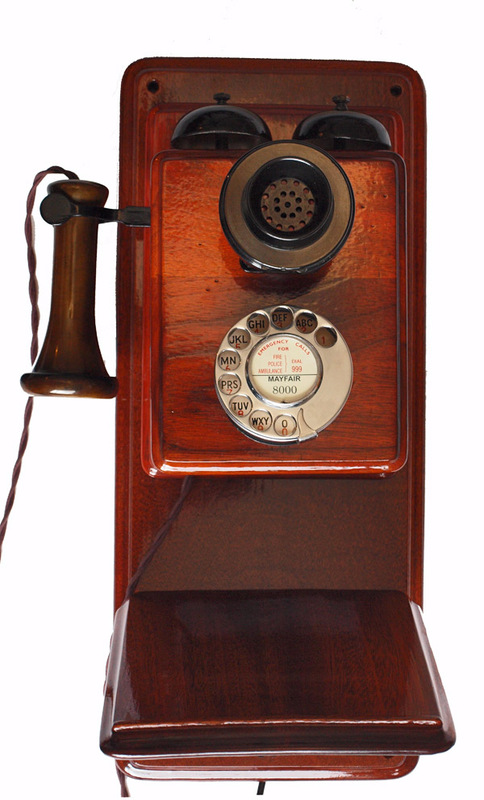 As you can see lots of work has gone into making this telephone a beautiful decorative piece of furniture as well as being a fully working genuine GPO telephone. It retains the proper GPO internals with a genuine GPO No12 alpha numeric dial. It has been totally stripped down and varnished to bring out the wonderful wood grain usually hidden by the GPO brown coating often used. It has been fully converted and ready to plug in and go. I don’t often have these available as they take a lot of time and expense to get into this condition. I can make a dial label with your information at no extra charge.